Employers are obliged under health and safety legislation to provide Respiratory Protective Equipment (RPE) in addition to Personal Protective Equipment (PPE) wherever there is the possibility of employees or site visitors inhaling hazardous substances. Where a potential inhalation hazard exists, it is essential that a full assessment of the risk to the user is carried out. This should not only identify the risk of contamination to the breathing air supply, but also the level of contamination. In the event of being unable to either remove or control the contamination risk, it is the employers’ responsibility to introduce measures to ensure that the breathing air supply complies with the required air quality standard. 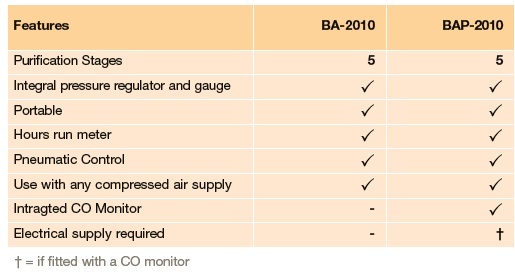 The air quality used in a breathing air system must be controlled under all operating conditions, including the possibility of a plant or process failure. 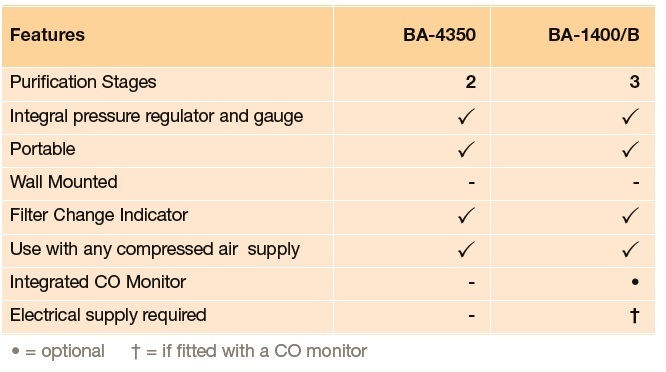 In addition to conforming with the required compressed air quality, the delivered air flow rate must be sufficient to meet the foreseeable needs of the total number of users at their maximum work rate consumption. 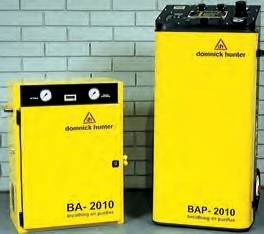 Domnick hunter breathing air purifiers are suitable for critical applications where only the finest quality compressed air is acceptable. For example: dental air, paint spraying, breathing air etc, where carbon monoxide (CO) and carbon dioxide (CO2) contamination does not constitute a hazard. 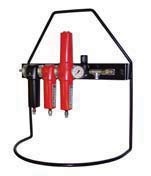 Supply can be taken from most sources of compressed air, either directly from the compressor or from the ring main. These breathing air purifiers utilise two separate stages of air treatment combined together in one compact housing. Where the air supply is particularly dirty, these purifiers can be supplied with additional AO grade filtration, and WS water separators. The Parker domnick hunter BA-4350 and BA-1400 portable breathing air purifiers provide high quality breathable air from a normal compressed air supply. Combining high efficiency coalescing and activated carbon filtration stages, both units are housed in compact, weatherproof, impact resistant cases which can supply air for up to four users. 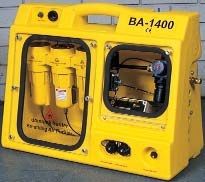 The BA-1400 also includes a water separator for the removal of bulk liquids and is available with an optional CO monitor. These models are recommended for hazardous applications that require an uninterrupted breathing air supply where carbon monoxide may be present. By means of catalytic conversion, carbon monoxide (CO) is converted, by oxidisation into breathable levels of carbon dioxide (CO2). The catalyst is kept active by maintaining a low pressure dewpoint prior to the catalytic bed using an integral desiccant dryer unit. The Parker domnick hunter BA-2010 is a fully pneumatic, portable Breathing Air Purifier designed to provide complete protection for up to four personnel. Five purification stages will ensure the highest quality air that is free from particulate dusts, vapours, odours, carbon dioxide (CO2) and carbon monoxide (CO). 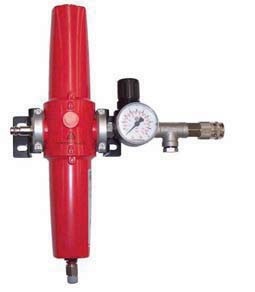 The flow rate is easily adjustable from a pressure regulator and monitored by inlet/outlet pressure gauges on the front facia. The BA-2010 is housed in an extremely strong and robust lockable case for total security.